Not all firewood is equal. Firewood from Mark’s Tree Care is a clean, dry, premium mix of seasoned hardwoods. Seasoned quality hardwoods burn the best: clean and hot. Ever wonder what is in those wood bundles at the gas station? We take the guesswork out of finding quality firewood. All the firewood we offer is a mix of clean, dry, seasoned hardwoods including: Oak, Hickory, Maple, Cherry, Ash and Locust. 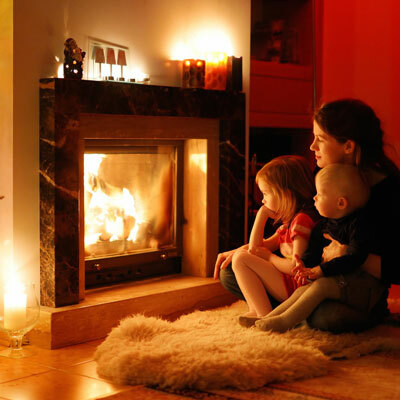 Using the right blend of wood allows your family to enjoy easy starting, beautifully burning, fires with no dangerous and distracting popping or hissing caused by too much moisture. When we say a full cord, we mean it. We don’t estimate quantity, we measure, so you get every inch of wood you order. 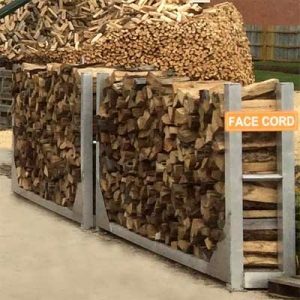 Measured Face Cord – A face cord is a stack of wood 8 feet wide, 4 feet tall and 16 inches in length. Measured Full Cord – A full cord measures 8 feet wide, 4 feet tall and 4 feet deep. It is three times the wood of a face cord. Multiple Cords – We can deliver or you can pick up specially priced multiple cords of wood. Trunk full or other small quantities – Just need wood for a couple of fires? We can take care of you. If you are heating with wood it is about both quality and quantity. Our quality, seasoned, hardwoods ensure you will get the best BTU possible from the wood you buy. Plus, we can take care of any amount. Ask about the special pricing, and delivery available on multiple cord orders. For quantities of a face cord, or more, we offer delivery from our woodlot to your home or business. You can also arrange to stop into our woodlot to pick-up whatever quantity you need.